The most versatile dynamic payment card ever made. We're bridging the gap between all payment methods. 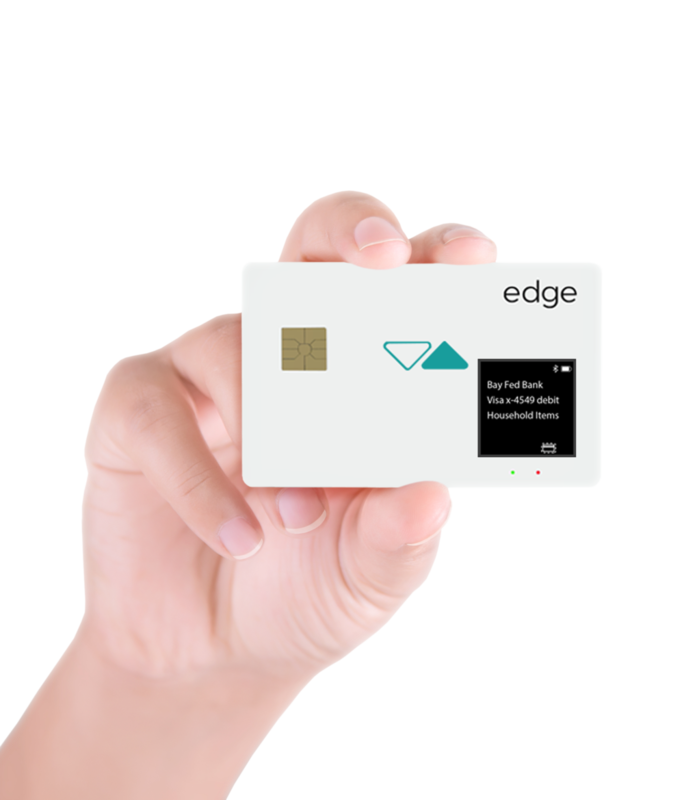 Our Cloud Wallet technology works with the Edge Digital Banking platform. The Edge Cloud Wallet is a smart cloud based wallet solution that works in all e-commerce environments including web browsers and mobile apps. The Cloud Wallet works to hold an unlimited number of your credit, debit and loyalty cards to make online shopping that much more seamless and secure. Sign up and be the first to know when we launch!